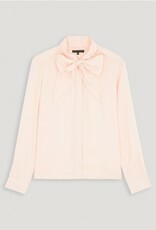 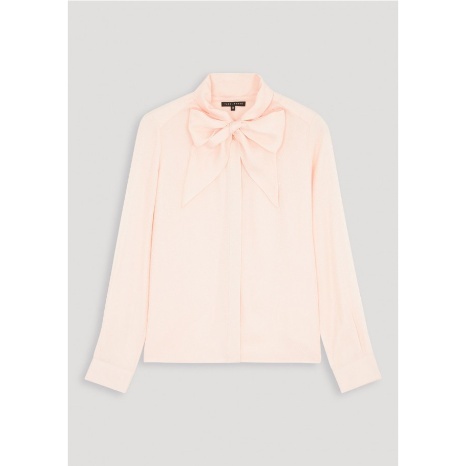 This light pink silk jacquard blouse ties at the neck with two pretty ribbons. 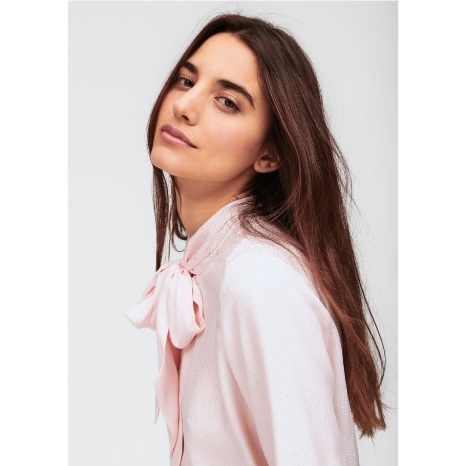 This top is sure to be a must-have for a chic look no matter the occasion. 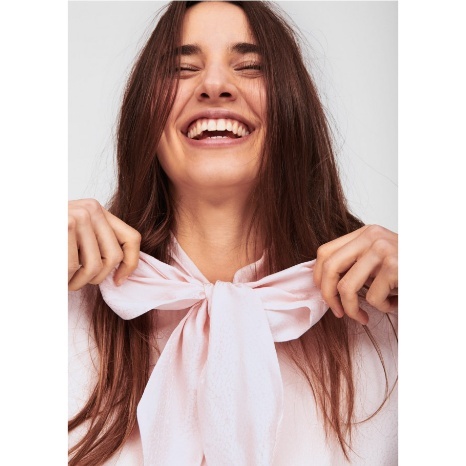 The model is 179 cm tall and wears a size 36.